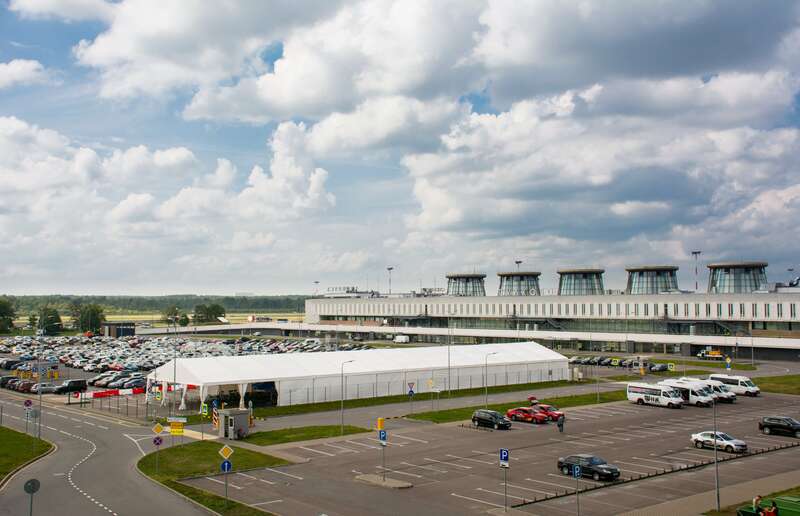 Pulkovo Airport is located 23 kilometers from the center of Saint Petersburg and is the third in Russia in terms of traffic after Domodedovo and Sheremetyevo. 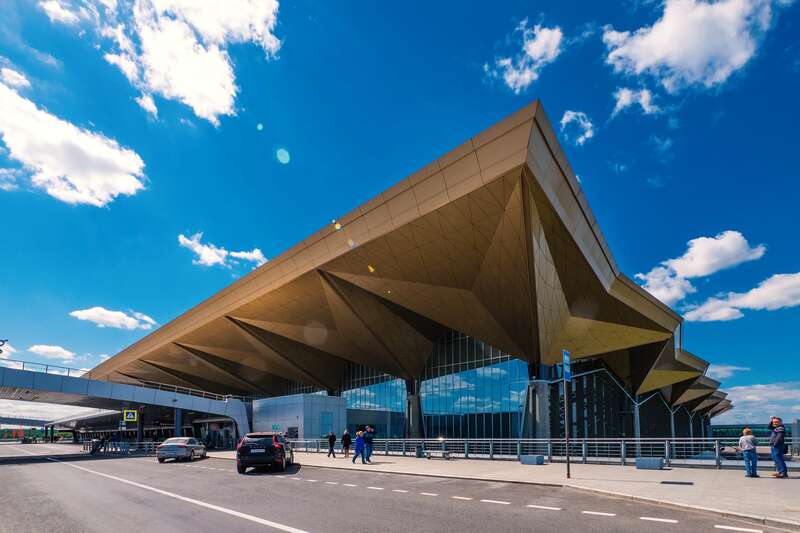 In December 2013, an important event happened in the life of St. Petersburg – the new terminal of Pulkovo Airport received its first passengers. The area of the aprons of the air terminal has been almost doubled and is 450 thousand square meters instead of 250 thousand square meters of old terminals. All aero complex services are equipped with the latest technology. The design of St Petersburg airport was entrusted to the British architectural bureau Grimshaw Architects. The appearance of the airport, created by the masters, reflects the view of the historical buildings of the northern capital and recalls both the state halls of the Hermitage and the clear lines of Soviet-era architecture. The roof of the building in the light of the sun seems golden and somewhat similar to the gilded domes of the temples of the Northern capital. The curved wavy ceiling inside the building imitates the smooth surface of the Neva, the author’s sculptures of the girls-planes are unusual, and the transition from the check-in area and that part of the terminal that is located beyond the border control zone will remind us of the bridges of the Northern capital. 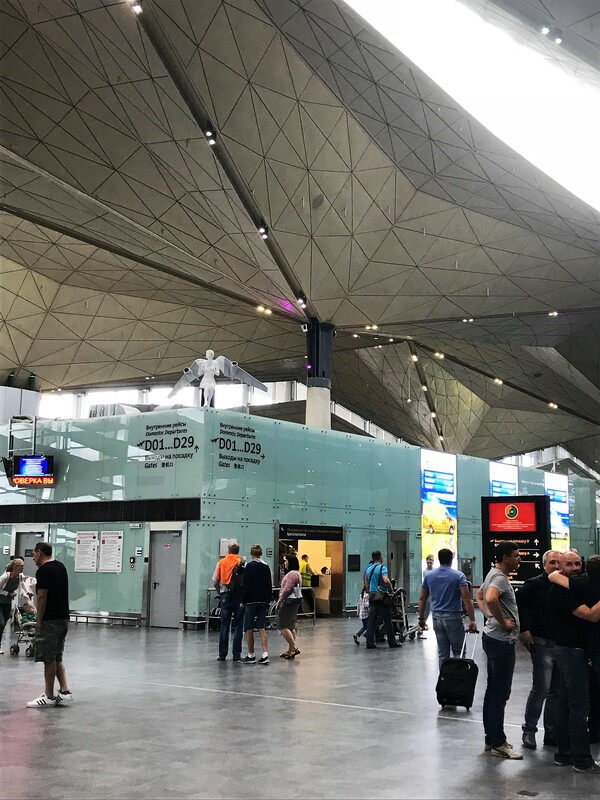 In the new terminal of the airport in St Petersburg there are no queues at the passport control booths – there are 110 of them, and the registration area is divided into two parts – for domestic passengers and international flights, there are 88 counters. There is no rush when baggage is received; seven baggage carousels have been installed to issue it. There are 17 boarding gates, for the convenience of passengers, the aerocomplex was equipped with 14 telescopes, there are 17 escalators and 45 elevators, all conditions were created for people with disabilities. Since the opening of the airfield was called Shosseinaya on the name of a nearby railway platform. On April 25, 1973 the aero complex was renamed Pulkovo. This name comes from the name of the Pulkovo Heights located near, on whose behalf the Observatory was named, and then the airport, and the village of Pulkovo was also located here. So what does this name mean? It is possible that this name comes from the word Vepsian peoples Pulk, which means a bullet, according to other sources, Finnish pulkka means Lopari sleigh, and Finnish puolukka – lingonberry. The departure zone of Saint Petersburg airport bus in the new Terminal-1 is located on the upper level of the ramp, and the arrival zone is on the lower level. The bus first drives into the upper level and disembarks passengers, then drives into the lower level to pick up those who go to the city. By taxi the cost of the trip will be from 600 to 1500 rubles, depending on the distance. similar terminal, a ticket must be presented, the barrier will open. official site. There is no free parking near Pulkovo Airport (April 2018).